Electrical Body essential oil products are made from natural and organic ingredients gathered from around the world. We use the cold-press method for extracting our oils, never steam distillation or chemical processing. Only cold-pressed oils retain their electrical integrity and nutritional and medicinal content. Specially expressed, pure botanical oils that address all of your topical needs: Nourishment and protection for the skin, completely unique oral hygiene, a soothing liniment and an all-over body splash. Our essential oil products contain combinations of essential oils with no additional ingredients. Pure oils should generally not used individually, but with a carrier such as almond oil, which is highly absorbent and nutritive to the body and skin. Remember that although each essential oil has properties of its own, when combined they are synergistic, forming a unique compound with specific applications. When you use our essential oil products, you are benefiting from years of research by our skilled formulators. Essential oils are absorbed by the body when applied topically. Inhalation of the aromatic vapors also provides benefits. Some oils can also be ingested. Essential oils resonate at a very high frequency (the measurable rate of electric energy flow between two points). Research has shown that healthful substances such as fresh produce and herbs resonate at higher frequencies than canned or processed foods. A healthy person’s body resonates at a higher frequency than a body suffering from disease. Essential oils resonate at the highest frequency of any natural substance. The best ways to use essential oils are external applications (such as our Whisper of Silk, Comfort and Bonita), internal applications with caution (such as our Glacial Blue), and as inhalations. Essential oils are readily absorbed by the tissues of the body delivering nourishment directly to the parts of the body that need it most. Perhaps the greatest benefit from using essential oil products is the effect the scent can have on the mind itself; relaxing, rejuvenating, calming, or stimulating, depending on the oil or oils. The study of aromatherapy is based on the use of oils and their fragrances. Have you read the warning on your toothpaste label lately? Warning: Keep out of the reach of children under 6 years of age. If you accidentally swallow more than used for brushing, seek professional help or contact a poison control center immediately. An article by Don Oldenburg of the Washington Post, printed in the Burlington Free Press, Burlington, Vermont, June 1997, states that three ingredients in toothpaste are considered dangerous. Fluoride is poisonous if taken internally, and Sorbitol and sodium lauryl sulfate can cause diarrhea, especially in children. As of April 7, 1997, all fluoride toothpastes and dental care products shipped must have a warning label stating that if more toothpaste is swallowed than needed for brushing, a poison control center or health care professional should be contacted immediately. Why ever use toothpaste again? Instead, use Glacial Blue, a pure and natural formula containing only cold-pressed essential oils of mint and almond, known for their antiseptic and antibacterial properties. Just a few drops on your toothbrush will make you a believer. No sweeteners, abrasives, additives or artificial flavors, and it's even safe to swallow. Yes, it is strange at first to brush your teeth with an oil, but isn't that just what we've been cultured to believe? After a little while you will be putting several drops on your toothbrush and NEVER go back to paste. There is no giving up the smooth, clean, results on your teeth and the freshness of your breath. Just be aware that this is a strong tasting product and if you like the taste of spearmint and peppermint you will do fine, but the taste is something to get used to for some. Remember to use a new toothbrush and make sure it's a name brand one as Glacial Blue will dissolve the toxic glues in cheaper toothbrushes and the bristles will fall out. (Don't worry, your dental work is safe). Glacial Blue is a mixture of organic, cold-pressed, spearmint, peppermint, and almond oils. These key ingredients have been used for centuries due to their extraordinary powers of rejuvenation and antimicrobial activity. Glacial Blue's strong fresh flavor explodes in your mouth, giving you squeaky clean teeth. First time you use it, it will take TWO SECONDS to decide, "HERE is a product I'll use all my life." Use no toothpaste. Just put 1-2 drops of Glacial Blue on a toothbrush. Use only Glacial Blue for 2 weeks. Then try your old brush and toothpaste and give it the test. Which does better? Dentists say, "I don't get it! There's no way these ingredients could get the results I see in my patients' mouths!" IMPORTANT: Glacial Blue Is Not For The Faint Of Heart! It's aggressively formulated to neutralize toxins. So if a toxic glue holds your toothbrush bristles in place, they'll fall out. Why? Because Glacial Blue breaks down toxins. So use a quality toothbrush (e.g., Reach or Colgate). And how could Glacial Blue help indigestion? You may have been told too much acid causes heartburn. Maybe not. You NEED stomach acid for proper digestion. The real problem? Your pH balance (acidity vs. alkalinity) can be out of whack. So indigestion is actually wrong pH level. Glacial Blue is formulated for the optimal pH of your esophagus. Swallow a couple of sprays, and feel an explosion of mint. With proper pH levels, pain and discomfort disappear. Bonita heralds a whole new era of facial care: a highly effective skin care regimen made simple. Just a few drops of pure, silken liquid massaged gently into the skin provides easily absorbed (electrically vibrant) nutrients, plus moisturizing, cleansing and astringent qualities and a non-greasy layer of protection. Skin responds eagerly to a healthy diet and to Electrical Body products. Bonita isn't greasy. It cleans your pores electrically. It's not unusual to see results in hours. Ladies: use precious Bonita oils on your face, neck, hands, arms, shoulders, chest and/or back. Your skin becomes so lovely, you will want to show off your true complexion. Men: use Bonita as an aftershave, for "kissably" soft skin. It's perfect for dry, chapped, chafed areas that active men get constantly. Use it before and after to minimize sunburn . . . and on minor burns for instant relief. Use no more than 4-5 drops on your face, once or twice a day. We could sell more Bonita by encouraging you to use more than 4 drops on your face. But more is not better. When makers don't understand electrical principles, they inadvertently add impurities. Result? Toxic products. So weigh cost against your skin's health. Stop using toxins. Feed your skin the precious oils it craves. Use Bonita in place of cleansers, toners, moisturizers, exfoliates, hand lotions, night creams, wrinkle creams and aftershave. "People at work tell me I don't look my age. I've noticed a dramatic difference in the way my face looks and feels. I put a few extra drops on my dark spots and within a month they were gone. But even before that I just noticed how less dry and irritated my face was. Before I was always putting lotion on. Now I just put a few drops on my face morning and night and don't have to think about it again. I've never used a product like this that I'm so totally thrilled with." Relieve dryness, rashes, chafing, burns, stretch marks, chapped lips, etc. Bonita contains Almond, Olive, Orange and Lemon Oils. Almond Oil: Highly nutritive, rich in protein and easily absorbed by body tissues. It has emollient properties and may slow the aging process, especially of the skin. Almond oil lifts impurities from body surfaces such as skin and teeth. Helps relieve dryness and inflammation. Most recommended carrier oil. Orange Oil: Extracted from the skin of the fruit, orange oil is highly volatile (evaporates easily) making it a wonderful, non-greasy treatment for the skin. Contains micronutrients and has antimicrobial and antibacterial properties. Helps ease muscle aches and pains. The aromatic properties are considered calming and uplifting. Lemon Oil: Extracted from the skins of the fruit, a less volatile oil, thus providing a layer of protection. Lemon oil contains flavonoids that reduce the permeability of blood vessels, especially the capillaries. Has astringent qualities that may tone and tighten the skin. Lemon oil has been found to promote leukocyte formation, dissolve cellulite and to increase lymphatic function. The aromatic properties are said to aid concentration, promote a sense of well-being, and to relieve fatigue. Whisper of Silk is for the body what Bonita is for the face. Apply it after a bath or shower, exposure to wind or sun; anytime your skin needs moisture. Smooth and non-greasy, this combination of pure essential oils provides nutrients and protective properties to the skin, alleviating dryness and lifting impurities. Whisper of Silk comes in a handy spritzer bottle. Whisper of Silk contains specially prepared Sweet Almond, Orange, and Lime Oils. Sweet Almond Oil: Highly nutritive, rich in protein and easily absorbed by body tissues. It has emollient properties and may slow the aging process, especially of the skin. Almond oil lifts impurities from body surfaces such as skin and teeth. Helps relieve dryness and inflammation. Most recommended carrier oil. Orange Oil: Extracted from the skin of the fruit, orange oil is highly volatile (evaporates easily) making it a wonderful, non-greasy treatment for the skin. Contains micronutrients and has anti-microbial and antibacterial properties. Helps ease muscle aches and pains. The aromatic properties are considered calming and uplifting. Lime Oil: An essential oil extracted from the skins of the fruit. Lime oil is highly volatile (evaporates easily) making is a great non-greasy carrier oil. The fragrance is considered refreshing and energizing. Its stimulating scent can help improve memory and concentration. Lime oil contains many micronutrients readily absorbed by the skin and acts as a toner. Lime oil may be beneficial for cellulite. It has antiseptic and antidepressant properties. Comfort is just what the name implies: a comfort to every zone of your body. Apply this combination of aromatic oils to sore muscles, stiff joints, pulled ligaments, bruises, muscle spasms or insect bites. Massage therapists love this formula! Add a dropperful to the bath to soothe away the stresses of the day. Try it for headache and sinus problems. For topical pain, a liniment formulated from traditional healing oils is a far healthier choice than aspirin and other commercial pain relief products. 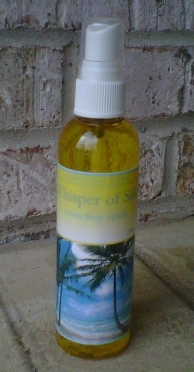 Comfort contains: Oils of Almond, Peppermint, Wintergreen, Eucalyptus and Camphor. Oil of Peppermint: Menthol, the main constituent in most mints, is antibacterial and antiparasitic. The herb is an effective remedy for colic and flatulence. The flavonoids found in peppermint stimulate the liver and gallbladder, increasing the release of toxins. Another substance, azulene, has anti-inflammatory and ulcer-healing effects. Inhaling peppermint may help alleviate motion and/or travel sickness. Peppermint is a natural insect repellent. Externally, peppermint oil is used for pain relief and massage. Menthol is cooling and anaesthetic when applied to the skin, increasing the blood flow in the area to which it is applied. Oil of Wintergreen: High in methyl-salicylate, which serves as a pain reliever for external use. It reduces joint and muscle inflammation and pain, especially when caused by rheumatoid arthritis and rheumatism. Eucalyptus: The volatile oils in eucalyptus are antibiotic and antiviral, combating infections. Products combining eucalyptus and other ingredients are used for bronchial congestion and preparing steam inhalations to alleviate coughs and asthma. It has natural expectorant properties. May help ease the pain of arthritis. A natural insect repellent. Camphor: An age-old remedy for painful joints. It eases the pain of bruises, sprains, inflammation, gout and rheumatic joints. Has a strengthening effect on the nerves. Camphor has antiseptic qualities and may help ward off a cold. Remember, all products made available by Electrical Body are extracted using the cold press method. This method of extraction does not use heat or extreme pressure, thus maintaining the electrical integrity of the oils. And we use organically grown and wild harvested oils for maximum quality and less pesticides. Unlike other products, these six contain NO artificial anything. We offer you products that make a difference. Allow Glacial Blue, Bonita, Whisper of Silk and Comfort take you where you want to go, naturally. Call toll-free 1-888-662-4057 to order all of 'em or simply order online. You'll be delighted you did. Order Now. It's Easy.